One of the hardest things about making a fall routine is fitting the gym into my schedule. From spending time with my children to taking care of my home and balancing work, there’s always something taking up every minute of my day. As the weather gets colder, scheduling gym time becomes a must-do to stay healthy. 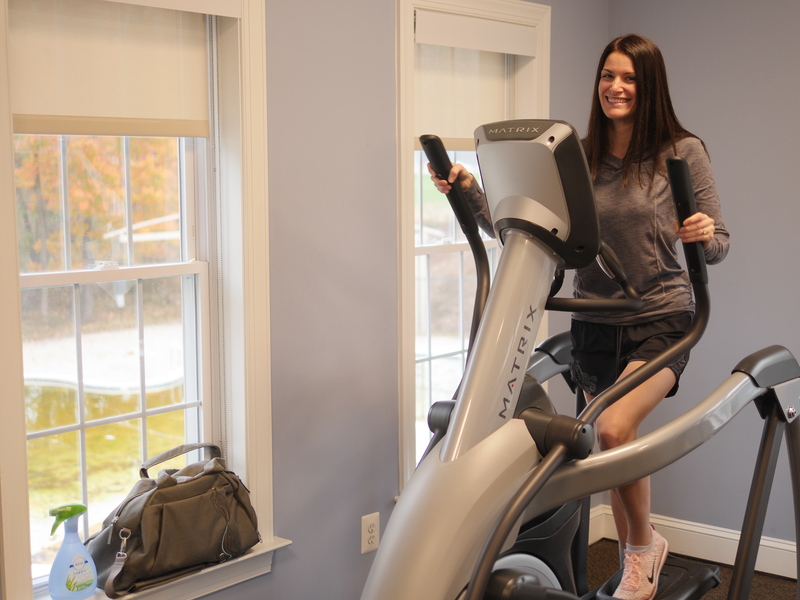 Featured today on Theresa’s Reviews, check out three ways that you can fit a workout into your daily routine, even if you are always short on time. First, take away the guilt about not spending time with your children by signing them up for after school programs. Often moms can feel selfish about taking time for themselves, but it’s important to be strong and healthy in order to take the best care of your family. This way, you get what you need, while your children do something they enjoy. Choosing an extracurricular activity at your child’s school is beneficial for two reasons. First, you don’t have to factor in additional time driving child to another location for lessons. Second, you can use that extra time for a quick visit to the gym. When my daughters stay after school for tennis, I have just enough time to get in a quick visit to the gym. While it might not be as long of a gym visit as I would prefer, it keeps me feeling healthy and energetic when my schedule gets hectic mid-week. One thing that gets in the way of visiting the gym is walking into my home at the end of the day. As soon as I see my children ready to do their homework and practice their musical instruments, helping them becomes my biggest priority. No one wants to be the mom who forgets to check the homework folder, but you also have to make time for yourself. To help, take your gym bag with you as you leave the house in the morning. From your running shoes to your music, pack everything you need. Taking the time to bring your bag in the morning puts you in the mindset to go. If you prioritize the time to get your things together, you will be more likely to stop at the gym on your way home. If an obstacle happens to arise that day, you can also leave your gym bag in your car for another day or two so you remember to go on another day. Pack your gym bag with Febreze Fabric Refresher so you can run errands afterwards! Finally, when you work out, go prepared to run errands afterwards. That way, you can accomplish more than just your workout. Did you know that 84% of gym goers admit to running errands within two hours of working out? * I’ve absolutely done so myself! From picking up groceries to getting my children from school or camp, it’s rare I find time to head home first. Often we forget that the smells go where we go, and about the friends and strangers we may run into along the way. For the millions who don’t have time to immediately change and wash their gear after each workout, it’s time to #FebrezeYourGear! 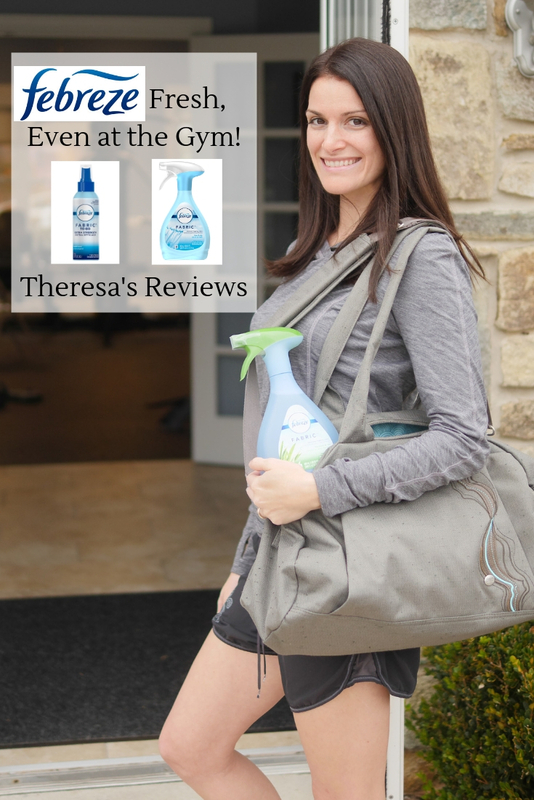 With Febreze you can make sure that gym odors stay where they belong, at the gym. After your workout, spray Febreze Fabric Refresher on your gym clothing, sneakers and gear until they are completely damp to safely and effectively clean away workout odors. Being a part of the #FebrezeYourGear program has taught me that if it’s fabric, you should Febreze it! I’ve always used Febreze to make my home smell fresh, but now I’ve discovered other ways Febreze can come in handy. 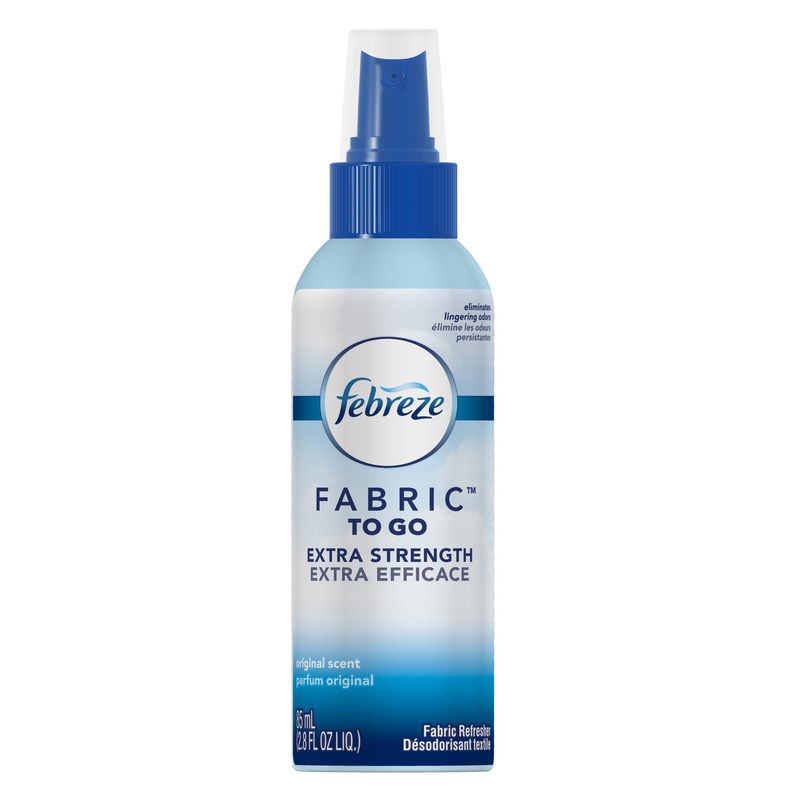 You can buy Febreze Fabric Refresher in a small to-go bottle that fits perfectly in your gym bag or a larger size to keep in your car or at home. This makes finding time for your workout even easier. 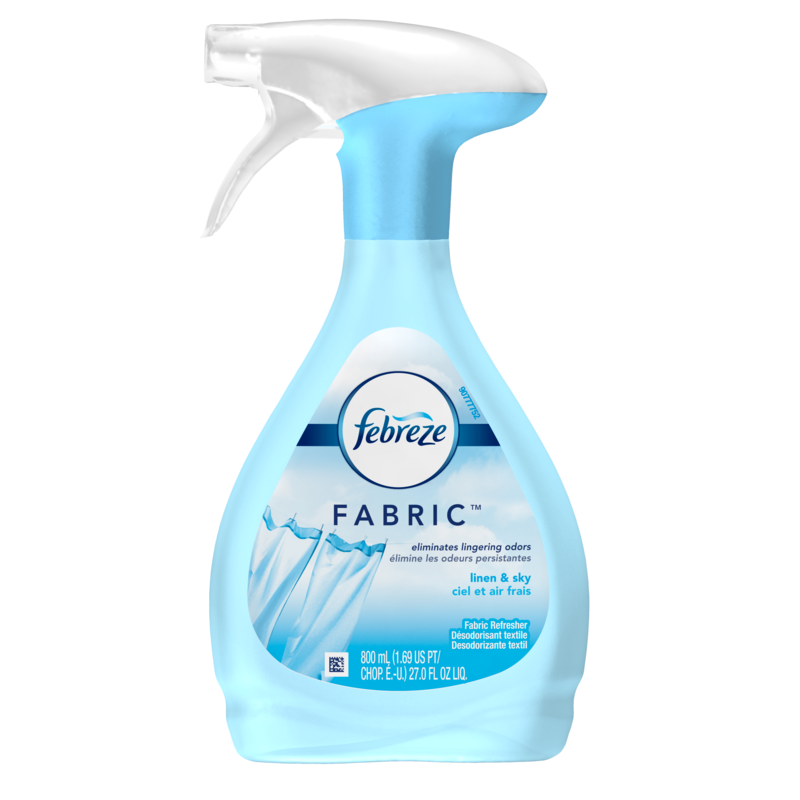 Febreze Fabric Refresher with OdorClearTM Technology cleans away odors in two simple ways. First, it seeks out tough odors. Second, it cleans the odors away by deactivating and replacing them with a light, fresh scent. Every day, if it’s not a parent teacher conference to attend after work, it’s an extracurricular activity or errand to run. Even though life is busy, it still matters to me that I fit in my fitness routine. Now busier than ever, I have to get creative to fit a workout and everything else into my day. With Febreze, I can! 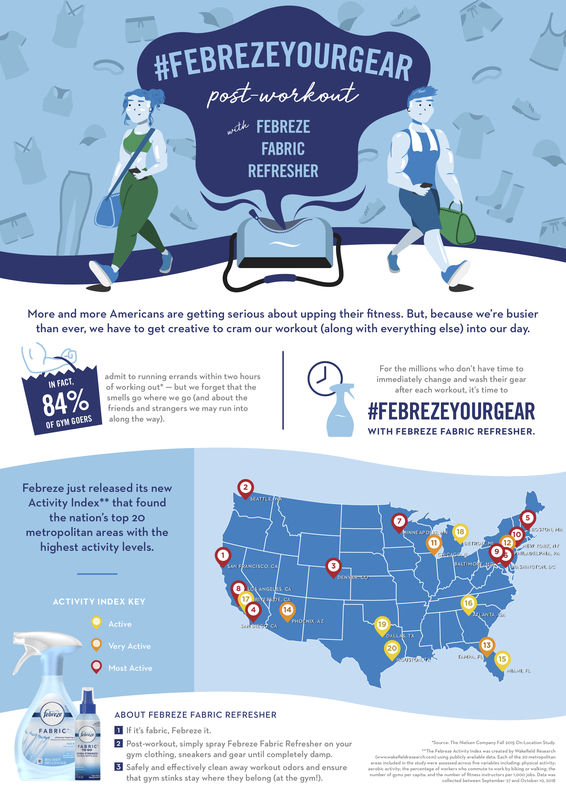 As part of the #FebrezeYourGear campaign, Febreze just released its new Activity Index that found the nation’s top 20 metropolitan areas with the highest activity levels including San Francisco, Seattle, Minneapolis, Denver, Los Angeles and New York. No matter where folks are located, Febreze Fabric Refresher has them covered to clean away odors post-workout. Check out the above Infographic for more information. For more lifestyle tips, make sure to follow Theresa’s Reviews on Facebook, Twitter, Instagram, Pinterest, and YouTube! Your Turn! What is your best tip for fitting in a workout? Share in the comments! *Source: The Nielsen Company Fall 2015 On-Location Study. I love Febreze and I keep it in my gym bag too. I have a travel size one for traveling too! I’m glad Febreze works for you too! I have to work out first thing in the morning or I never will. Lack of motivation! I admire people who workout in the morning! I enjoy sleep too much to do that. Excellent tips! I think bringing work out gear is a huge part of actually getting me to work out! It’s helpful to be prepared! I’m glad this works for you too. I’ve seriously learned that bringing my gym bag when I leave the house helps SO MUCH in making that workout happen! I’m glad these tips work for you! These are such good tips! And my goodness I would be lost without my Febreze – I love the fresh scent it leaves whenever and wherever I use it! excellent tips! With 4 little ones it’s hard to squeeze in exercise!